Whenever I talked about location-aware technology to clients, Olive Garden was always my go-to website to demo how this feature works. Today, I was disappointed to find that this feature no longer has a prominent call-out on its home page, and is now buried on the “Find a Restaurant” page. It’s immediately obvious why location-aware technology is fundamental to most mobile browsing experiences, but I also like to encourage clients to think about it for their desktop sites, too. 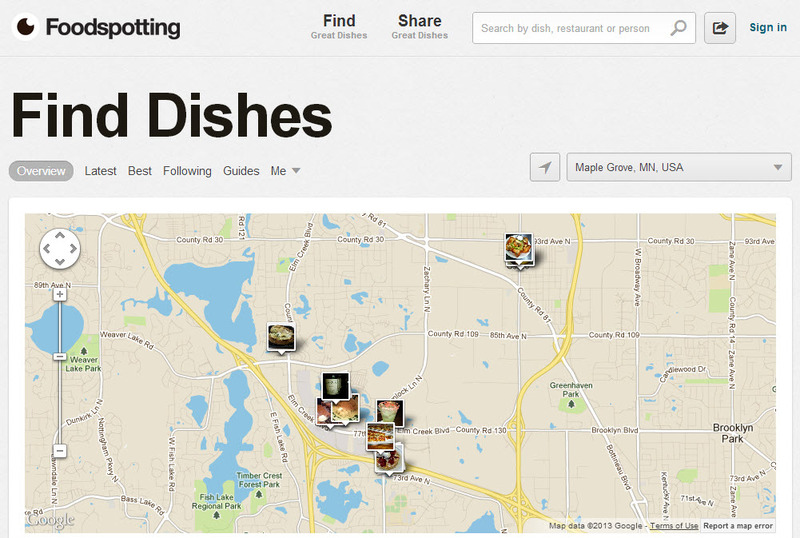 As you can see below, Foodspotting automatically figured out which Minneapolis suburb I live in, and showed me photos of food from nearby restaurants. This is a smart application of the technology. I often conduct my restaurant research on my laptop before I leave the house – not while I’m already driving. If you’re a multi-location retailer, restaurant or an international company, I think location-aware technology is a must-have for your website. Instead of asking users to select a country or ZIP code first, connect them to the right location off the bat and deliver targeted content and promotions. Showcasing where your product or service is in use (e.g., customers snap photos of their purchase and upload them to your website, Redbox locations). What’s your favorite location-aware website?